Ten simple foreign language phrases that will help you on holiday. English may be considered the world language, the language of commerce and trade; however, it is not always going to be the case. Native English speakers can’t always rely on their hosts to have taken English lessons. When travelling to a foreign country, speaking a second language, where English is not the natural language you can make travelling content a lot easier. If you learn a few simple phrases that can get you out of trouble or help you find your way you will find your vacation more fun. There is nothing more frustrating than floundering around trying to explain something abroad without even the most basic of language skills. Before embarking on your next trip to the exotic and far away place, look up a few choice sentences that will prove invaluable wherever you travel. Numbers one to ten…….you’ll need this for time, quantities, distance, room etc. Please and Thank-you …being polite in any language goes a long way. Help………………………you may need it at some point. Hello and Good-bye……more good manners. The weather is – nice, wet, cold.. Weather is universal and if you can start a conversation in the local bar or shop it may mean better service, reliable information or directions to off the beaten track, to sights only the locals know. Speaking to people on holiday in their native tongue may sound daunting but bumbling along in Spanish, Italian or Japanese is a lot better than just asking again in English but just saying it louder. This will give you a basis but with the addition of a few of your favourite nouns, you will be on your way to learning a new language. You will find that it not only helps you out along the way when abroad but also is brilliant fun and allows you to experience your holiday in a totally more personal way. 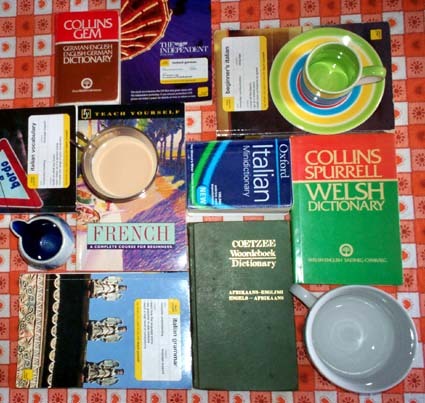 This entry was posted in Holiday, Top Tips and tagged foreigh language, language, second language. Bookmark the permalink.